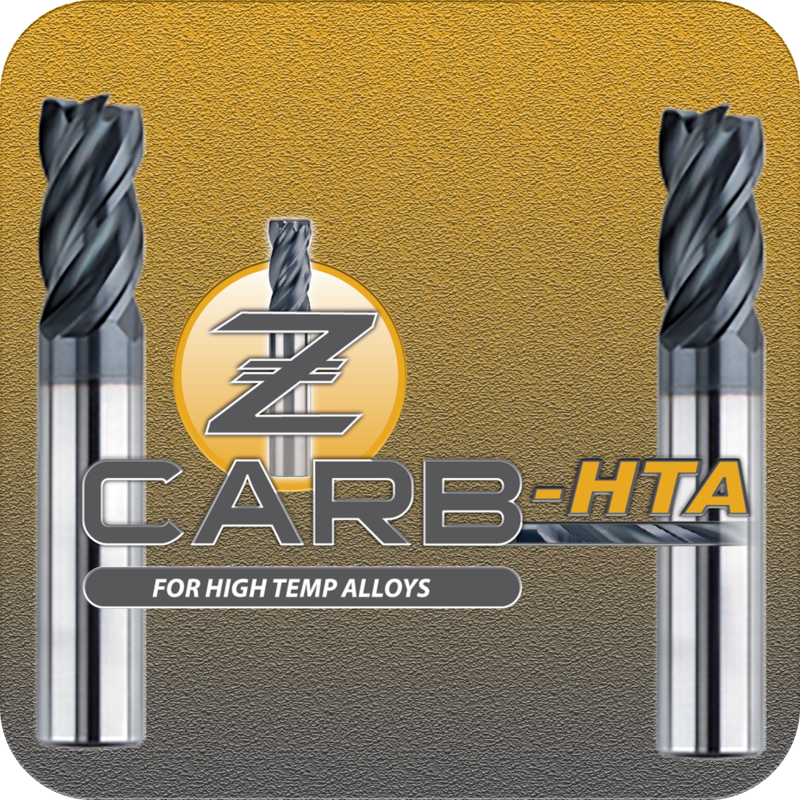 The Z-Carb HTA features an enhanced high helix design and enhanced core to meet the demands of machining high-temperature alloys. The patented unequal helix design changes the angle at which each cutting edge enters the material, and unequal flute spacing helps disrupt the rhythmic pattern created by the cutting edge. These advancements in design eliminate harmful chatter and increase the material removal rate through increased feeds and depths of cut.